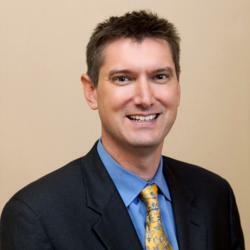 Dr. Mark Stibich, chief scientific officer of Xenex Healthcare Services, is honored by the Houston Business Journal as one of its 2012 "40 Under 40" business leaders. Xenex Chief Scientific Officer Mark Stibich has been recognized as one of Houston's 2012 "40 Under 40" business leaders by the Houston Business Journal. “Dr. Stibich is a cornerstone of Xenex's success and richly deserves this honor,” said Morris Miller, CEO of Xenex. “I believe that in the years to come he will be viewed as the person responsible for solving the world's HAI crisis." Xenex Healthcare Services, an industry leader in portable room disinfection systems for healthcare facilities, today announced that founder Dr. Mark Stibich was recently named one of Houston’s “40 Under 40” business leaders by the Houston Business Journal. According to the newspaper, “In its fourth year of publication, the 40 Under 40 award honors 40 Houston business leaders under the age of 40 who are key industry leaders in their business and in the community. Of this year’s 200 applicants, the judges selected 40 individuals who stood out for their accomplishments and the impact they are making in the Houston community.” The judging panel consisted of several Houston-area business executives and members of the Houston Business Journal’s editorial team. “Dr. Stibich is a cornerstone of Xenex's success and richly deserves this honor,” said Morris Miller, CEO of Xenex. “He is widely respected by fellow scientists, customers, investors and his colleagues, and I can think of no finer example of a "rising star" than Dr. Stibich. It's my belief that in the years to come he will be viewed as the person responsible for solving the world's HAI crisis." Hospital-acquired infections (HAIs) are the fourth leading cause of death in the U.S. and account for 100,000 deaths every year, costing the healthcare system approximately $30 billion. Xenex offers the fastest, safest, and most cost-effective method for the automated disinfection of healthcare facilities, such as patient rooms, ORs, and ICUs. Xenex’s portable room disinfection system uses pulsed xenon ultraviolet light to quickly destroy viruses, bacteria and bacterial spores in the patient environment without contact or chemicals. Uniquely designed for ease of use and portability, a hospital’s environmental services staff can operate the Xenex device without disrupting hospital operations or requiring the use of expensive chemicals. The Xenex system will disinfect dozens of rooms per day, so hospitals can use the system continuously to reduce contamination levels throughout their facilities. Xenex systems are currently in use by hospitals throughout the U.S. and have proven to be effective against a variety of the most dangerous superbugs, including Clostridium difficile endospores (C. diff), MRSA, VRE, and Acinetobacter. Studies show the Xenex room disinfection system is consistently 20 times more effective than standard chemical cleaning practices. As a founder and Chief Scientific Officer of Xenex, Dr. Stibich has been instrumental in the company's success. He is a thought leader in the infection control community and has presented papers and posters at leading infection control and epidemiology conferences. Dr. Stibich helps customers understand and solve their infection control problems while analyzing hospital results, conducts scientific research, and oversees product development at Xenex. Customers have reported a 67 percent reduction in C. diff infections, a $2.3 million dollar savings from MRSA prevention, and more after using the Xenex system for only a few months. Dr. Stibich and the exciting results his customers are reporting have recently been featured in Forbes, CNN, Infection Control Today, and much more. Xenex develops pulsed xenon UV disinfection systems for the advanced cleaning of the patient environment in healthcare facilities. The Xenex system is the fastest, safest, most cost-effective, and most portable and easy to use system available today among room disinfection technologies. The Xenex mission is to significantly reduce the number of HAIs that impact the health and lives of millions of patients and their families and become the new standard method for disinfection in healthcare facilities worldwide. For more information please visit http://www.xenex.com.